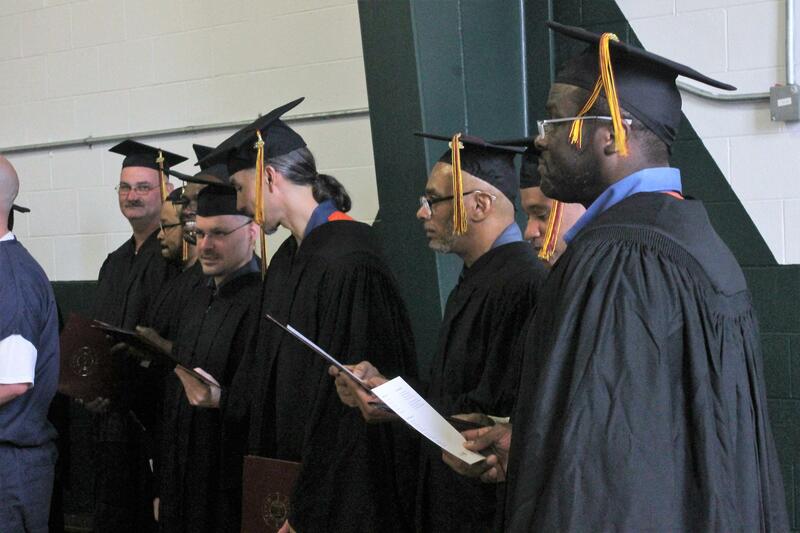 The first group of student inmates received their associate’s degrees from a program at Calvin College today. Fifteen men walked out of the fieldhouse at Handlon Correctional Facility in Ionia today with their heads held high. Those men all now have associate’s degrees in administrative leadership. Larry Conic, a student inmate serving a life sentence for murder, says he wants to help younger inmates since he has no chance of parole. “But you know what, if I have to stay here, I’m going to spend my time here making other people better,” Conic said. The three-year-old program is funded entirely through private money, so it doesn’t take away from the school’s general budget. 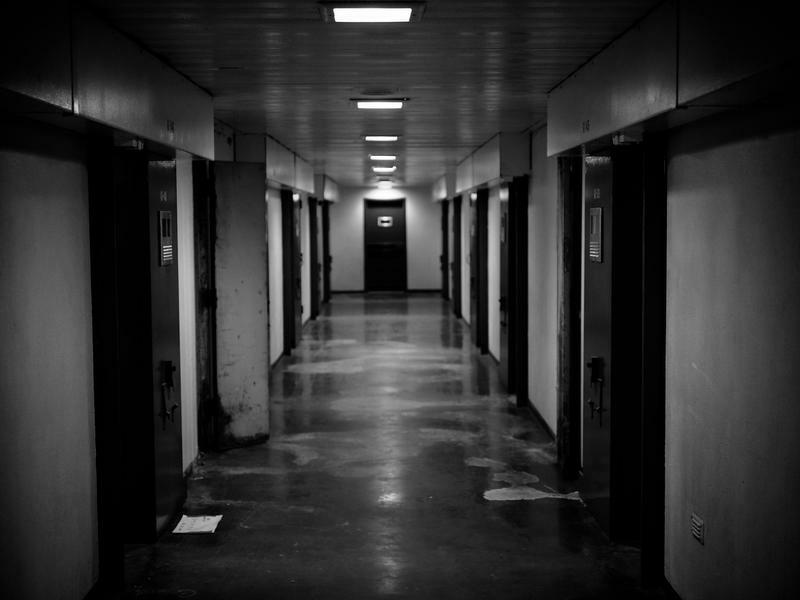 The goal is to get inmates educated and empowered to change the entire culture of the prison. Shawn England, another student inmate who is facing life without parole for first-degree murder, says this program has given him something to live for. England says he will get his bachelor’s degree from the Calvin Prison Initiative in two years and he will then work with inmates in their GED and Vocational Training programs. Todd Cioffi, Co-director of the Calvin Prison Initiative, says this has been a long time coming. There are currently 57 student inmates enrolled through Calvin, which is a Michigan Radio sponsor. The state’s Department of Corrections hopes to keep it growing. A group of former inmates at the Kent County Jail is suing the sheriff in federal court. The case stems from one meal served at the jail three years ago. About 250 inmates suffered diarrhea, cramps, and other ailments after eating some chicken tacos that went bad; 16 of those former inmates are suing the county and Aramark in federal court.